Essential Property Maintenance offers pressure washing services for both commercial and residential clients throughout the Calgary area. Whether you need to pressure wash the slippery algae growth off your back deck to power washing your entire driveway, the team at Essential Property Maintenance can pressure wash it. Schedule Your FREE Calgary Power Washing Estimate Today! 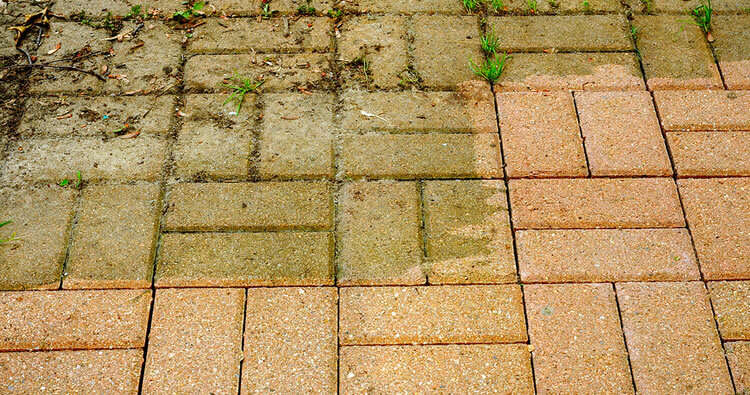 Pressure Washing or power washing as it’s also often referred to is probably the best way of removing built up and difficult to clean dirt, mold, algae and mildew which can build up to unsightly levels on the exterior of your home or building, sidewalks, driveways, decks, patios, porches and more. Even if the outside of your home looks clean, if you run your hand along a section of siding you’ll often feel and see that it’s not really as clean as you think! We offer full-service exterior pressure washing services. Whether you’re getting ready for that big party, holiday guests, getting your home ready for sale, or just want to keep the exterior of your home and property squeaky clean, pressure washing can handle the job. We offer one-time cleaning, as well as regularly scheduled cleaning programs.